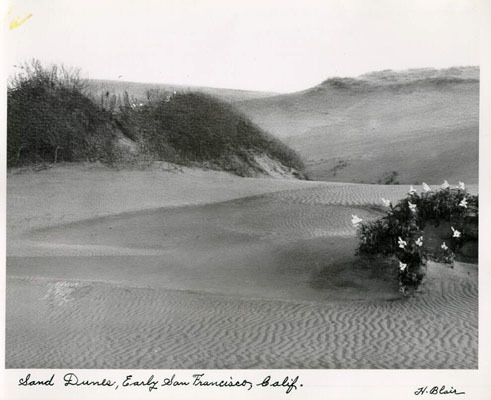 In the early 1870s, faced with the daunting task of establishing a vegetative cover on the sand dunes that had been set aside for the park, the young engineer in charge, William Hammond Hall, tried some techniques for dune stabilization that had been developed in Europe. The method involved covering the dunes with planting mat and then seeding a combination of grasses, shrubs and trees. The expectation was that the grasses would take hold in the planting mat and their roots would help keep the sand in place, forming a medium in which shrubs and trees would germinate and grow. It was a method that essentially tried to replicate the processes of natural plant succession. In the first experiments on the dunes of Golden Gate Park, Hall used species that had worked in France, a combination of maritime pines (Pinus nigra) and yellow broom (Cytisus spp. ), but these species failed to thrive. So Hall and his colleagues tried adding some native lupines, which they noticed grew well locally. The lupine proved more successful in the San Francisco coastal environment, but the pines and broom grew poorly and were soon choked out by the lupine and drifting sand. At this point a horse saved the day. Hall and some of his men were camped on the dunes and noticed that a horse, corralled on the sand, was scattering its feed of whole, wet barley. By chance it rained and the scattered barley sprouted very readily, quickly covering the patch of sand with a green carpet. This gave Hall the idea of adding barley to the seed mix they were using. It worked to stabilize the dunes through the summer and the following winter, allowing the larger plants more time to establish themselves. The dune stabilization was off and running! In December 1872 and January 1873, Hall’s crew scattered a mix of barley, lupine, maritime pine and Albizia over an area of 100 acres. And they established a nursery to give some trees a head start before planting them out in the stabilized dunes. The rest is history! Thanks to that horse! 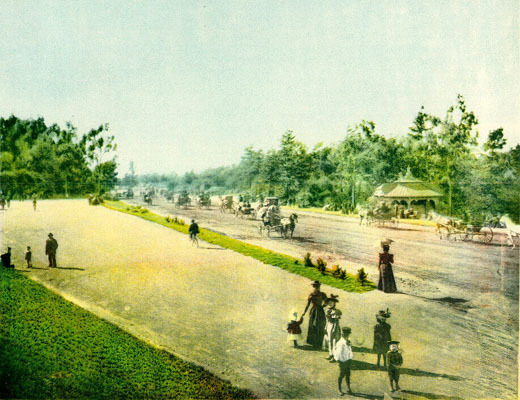 This entry was posted in history, plants, urban ecology and tagged dune stabilization, golden gate park, golden gate park history, horses in the park, native plants, urban parks. Bookmark the permalink.